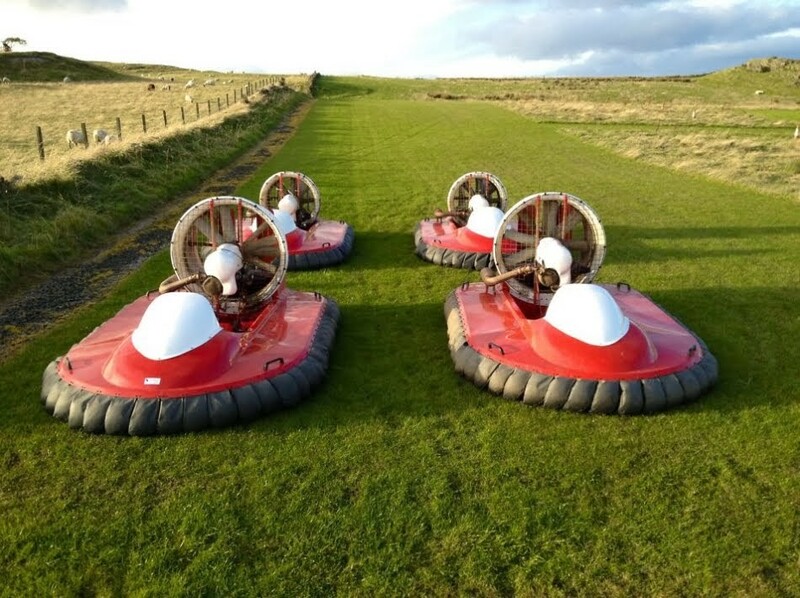 Only place in East Scotland offering hovercrafting. All safety equipment provided on site. 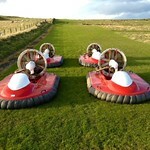 There is normally 2 single seated hovercraft operating at any one time. 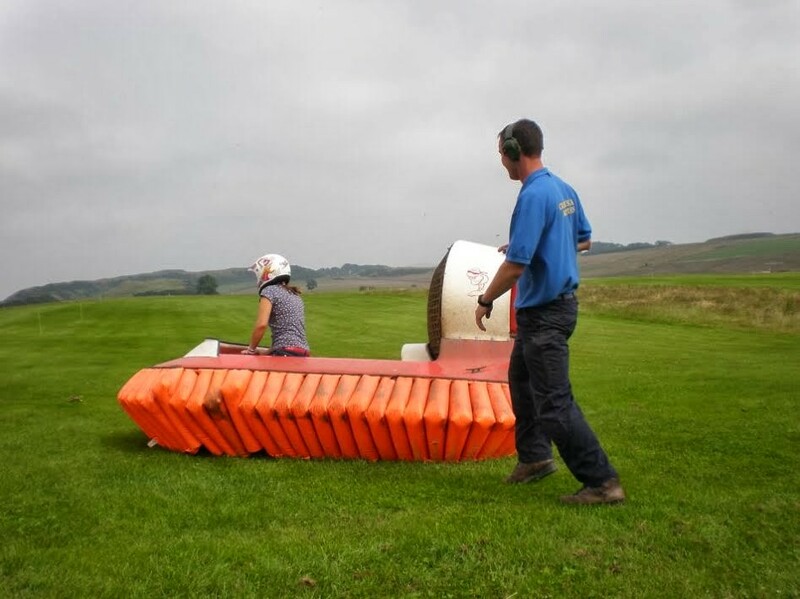 Everyone enjoys 10 minutes practice time of flying up and down the large grass field learning how to cope with this amazing machine. After you have got to grips with the hovercraft controls you then get timed over 6 laps where you have to weave in and out of cones - watch out penalty points are handed out for any cones that you hit. Hovercrafts operate very differently from a standard vehicle. With no brakes they require the operator to lean into the turns. Are you more competitive than your mates? 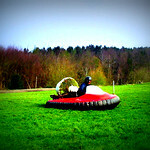 Booked the hovercraft for my hubbys first wedding anniversary present - he loved it! Arrived at the farm and was greeted by Graham who is a lovely man. We were provided with all our kit, waterproofs, helmet, gloves & wellies. 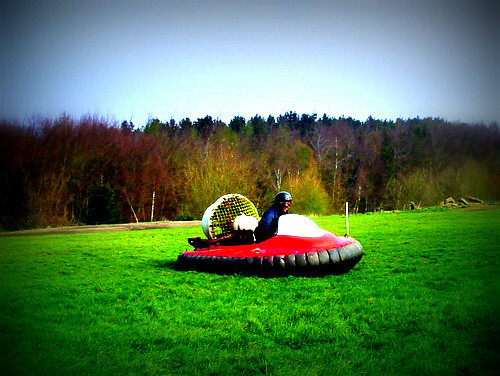 The hovercraft is a brilliant experience and my hubby loved it (i wasnt as good on it as him). We had a test drive for about 20mins then a timed lap race. Which was good fun! We were provided with tea, coffee and shortbread which went down a treat! Would recommend to anyone! Absolute gentleman and place has stunning views. I've been hovercrafting at this place for three times, once with my mum, once with one friend and today in a group of six. It's been great every time and is good value for money. Hovercrafting is great fun - something everyone should try at least once and here in this place. Hovercrafting - ace! John and John - great hosts! I packed my wellies just in case but I needn't have bothered. Waterproof coats, trousers and footwear is all provided along with helmets. I have big calfs and have problems finding boots/wellies to fit but they had exactly what I needed. Would highly recommend - just such a pity they're so far away as I'd probably go more often! 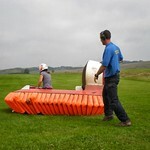 Just returned from a day out Hovercraft followed by the tractor driving. There is no way that I could have imagined that it would be as fantastic as it was. Our host was as friendly, patient and as nice as can be and made the day even more pleasurable. I would recommend it to everyone, no better way to spend a Sunday morning!!!!!!!!!!! !